It’s cold outside, which makes me want to just curl up in my little corner and crochet. 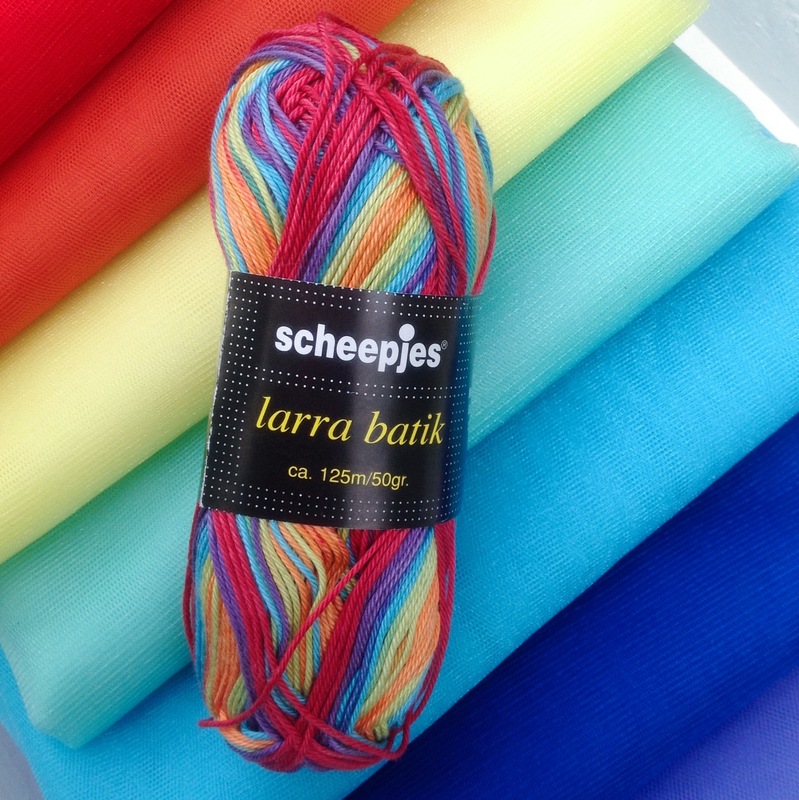 Luckily, with the arrival of this beautiful Rainbow Larra from Scheepjeswol I can! I love the Larra. It’s a great weight, very durable and comes in loads of colours. It’s a mercerized cotton, but it’s also very soft and not too shiny. And I love colour change of the batiks, especially the Rainbow. I love that Rainbow so much I chose the yarn before I had a project in mind! I had to justify getting the yarn, as I just don’t have the space for more yarn that I bought because I loved it. I did have to immediately sit down and make little cakes, just so I could be mesmerized by the colour change. 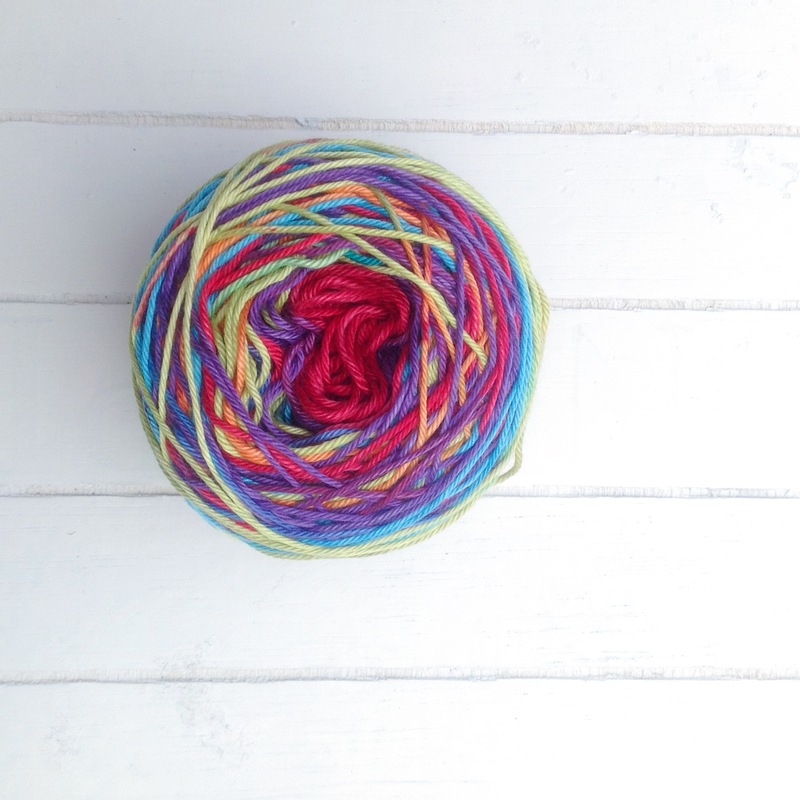 I think that’s my favourite part of winding yarn; watching the colours change. So, my daughter is obsessed with dancing like a ballerina, but she’s not really a pastel Swan Lake kind of girl, so I’m making her a Rainbow Tutu! I found all the tulle at my local market – super cheap, and I can’t wait to get stuck in. 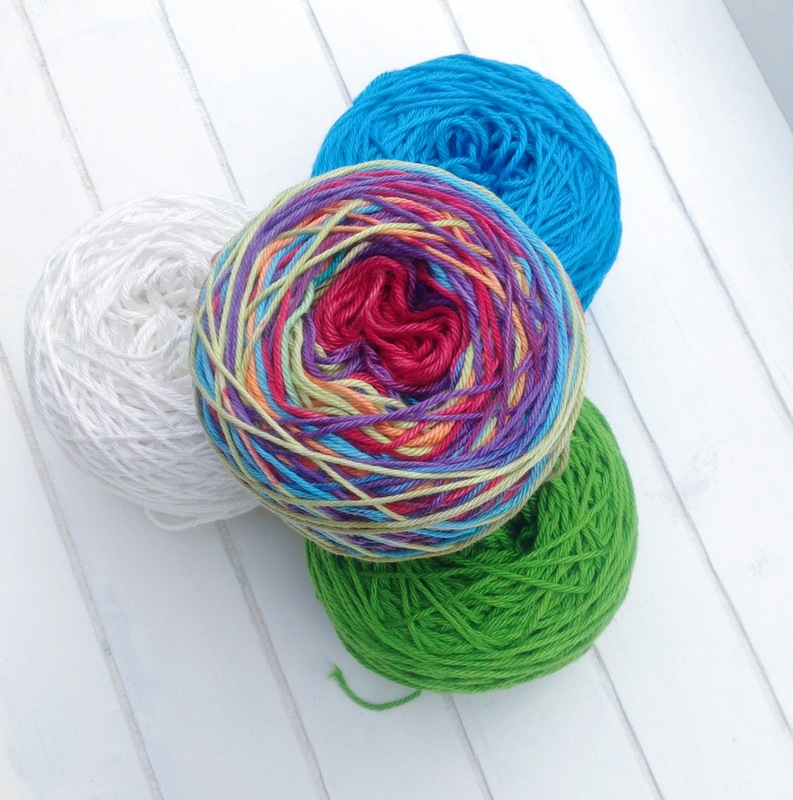 Perfect colours to counter the dark, grey winter outside, don’t you think? 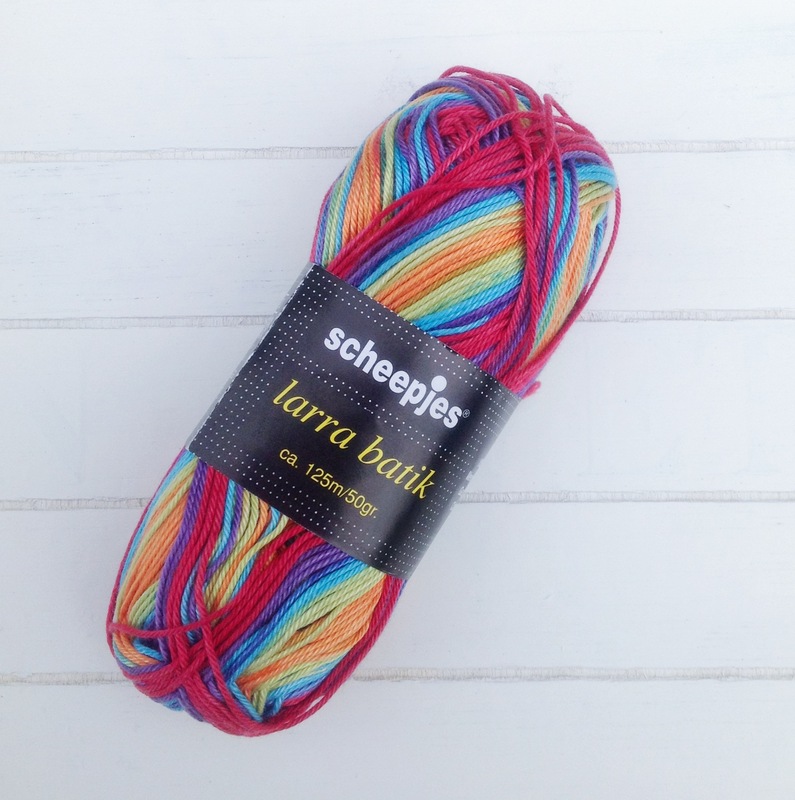 Meanwhile, you can pick up the Larra at any great yarn seller here in NL, or on Deramores.com internationally.